Sachin Tendulkar on Monday decided to hand over the captaincy of Mumbai Indians in the fifth edition of IPL to Harbhajan Singh following a discussion with the management of Mumbai Indians. "Sachin Tendulkar in discussion with the management of Mumbai Indians has decided to hand over the responsibilities of captaining Mumbai Indians in Season V of the Indian Premier League to ace off spinner Harbhajan Singh," a press release issued by Mumbai Indians stated. 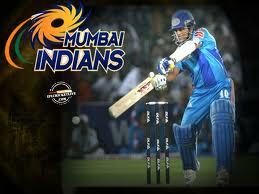 "The Mumbai Indians is more than a team. It is like a family to me. At this point of time, I feel I need a break from the responsibility of captaincy of the Mumbai Indians. After due consideration, I discussed my intention to hand over the Captainship of the team to Harbhajan Singh, with Mukeshbhai and Nitabhabhi," Tendulkar was quoted in the media release. Tendulkar further stated, "I was touched by the graciousness and wholehearted support they offered me while emphasising that they would accept any decision which helps me to continue enjoying the game. Harbhajan will have my wholehearted support as the senior most player in the team."